Collin County Adventure Camp is just a short drive from 75/121, but you will feel a world away when you arrive. Set on over 400 acres of the beautiful Blackland Prairie, there is no shortage of nature, trails and adventure within our gates. The best part? Camp is open year round, offering a unique camp experience fit for any group’s needs. No two Retreats are the same. We create a camp experience that works specifically for your group. 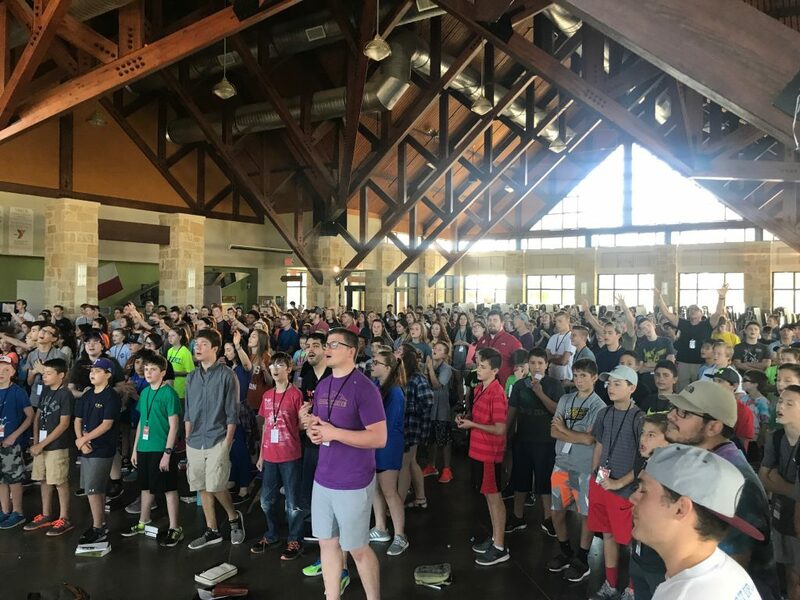 Whether you’re planning a staff picnic, church youth camp or Girl or Boy Scout campout, you can trust that your time here will be just what you need it to be. We can accommodate and sleep a minimum of 25 up to 530 guests year-round in our heated/air-conditioned cabins. We can also accommodate day-only Retreats. Tell us what you want to do while you’re here! Will you have a healthy and hearty meal in our dining hall? Which activities would you like to try? With team-building challenges, lake-front fun and high ropes adventures, your group will be anything but bored. We’d love to tell you more about us! Please contact Kay Stone for more information or to schedule a camp tour!